I always thought that making jam was a really long complicated process that needed a whole cupboards worth of equipment. So when I visited my uncle and aunt recently and they asked me if I fancied making something with all the crab apples they had in the garden I wasn’t sure. A quick look for recipes on the old iPhone though made me change my mind. 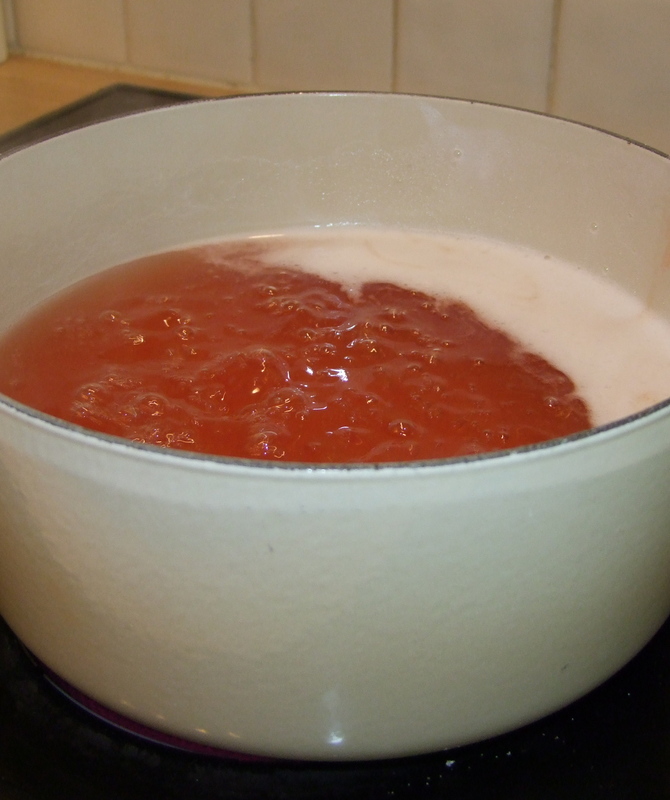 The recipe for Crab apple jelly actually sounded pretty simple. 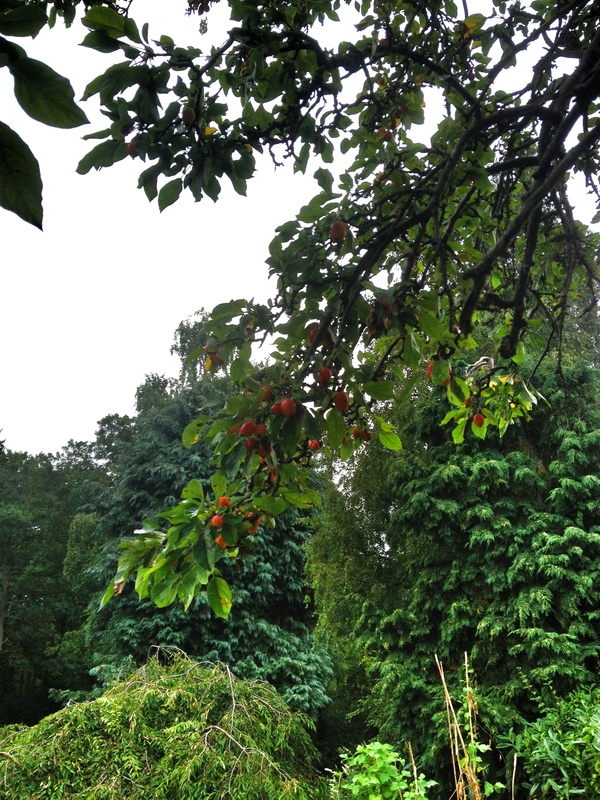 So out came the ladder and down came the apples! 1. Wash and de stem the apples and remove any bruised ones. Even though we picked a giant bag of apples it wasn’t enough. I had enough to half the recipe with just over 2 kg’s. 2. 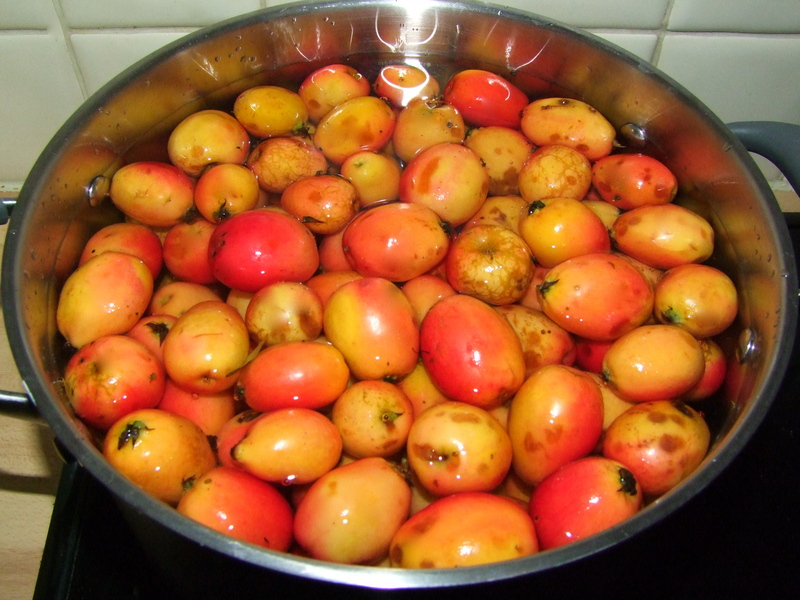 Pop into cold water to bring to the boil, I ended up splitting the batch into two pots as it would have boiled over. 3. 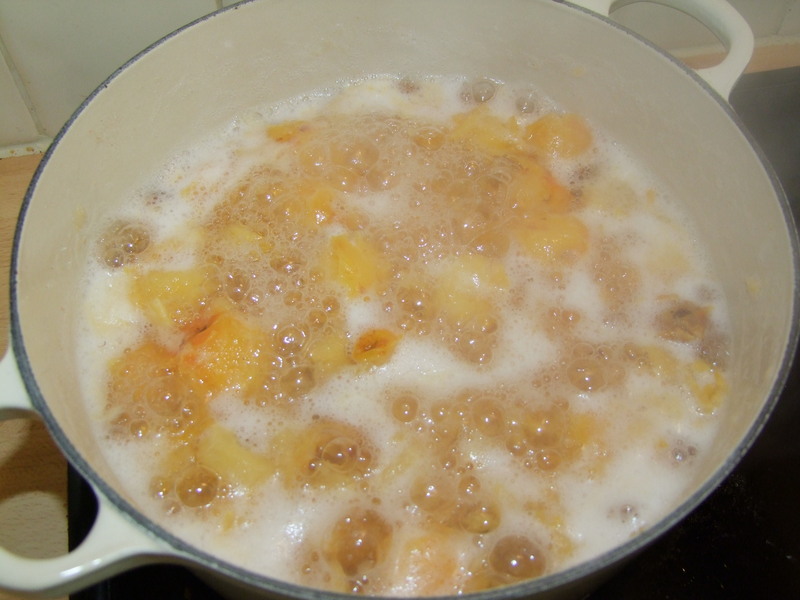 Boil the apples until they have completely broken down into mush. 4. 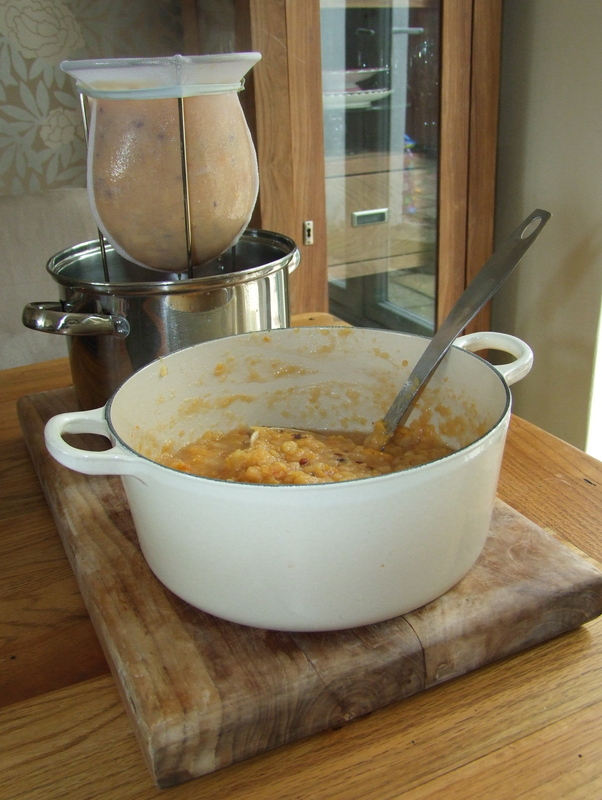 Next, set up your strainer in a pot and spoon in the apples. 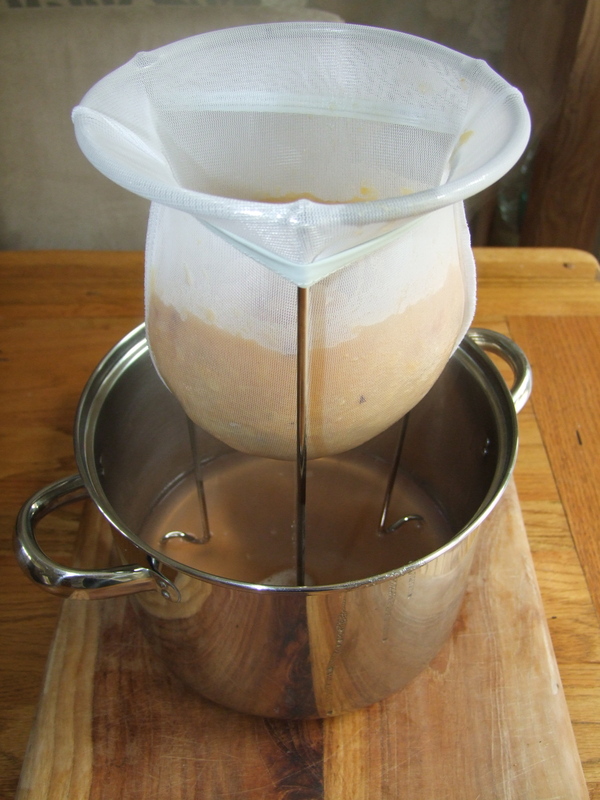 This needs to be left over night preferably to let all the juice strain out. Do not squeeze the bag as this will make the jelly cloudy. 6. 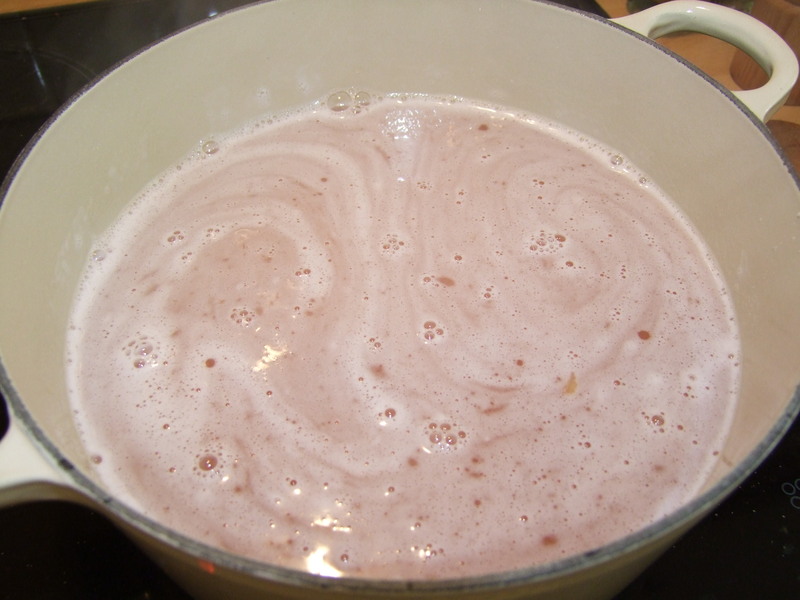 The mix needs to be kept on a rolling boil for 40 mins, skimming off the froth that creates on the surface. After around 40 mins of boiling and skimming I got one of my spoons out of the fridge and dipped it into the liquid. It should start to set on the back of the spoon. I say ‘should’ but I have to admit mine didn’t seem to be setting completely, it was certainly thickening but not setting so I boiled for a little longer. I was convinced at this point that my jelly wasn’t going to work. I figured that I should just see what would happen once it was poured into the jars. 8. I ladled the mixture into my jars. I managed to fill the 2 x 500ml jars and one small jar (no idea what volume the small one was!) All I could do now was wait to see what would happen. I then realised the last bits of syrupy juice that were in the pan were setting and I thought, you know what this might just work. So I left them on the side and a couple of hours later I came back to find they had all set to a beautiful jelly. And here it is, I am so happy that it turned out so well. I took a jar to my mums for Sunday lunch and we had it with a starter of gorgeous pate from the local French market. I’m not going to be modest about this one either, it was blooming marvellous!! I will definitely be doing this again. It has made me think about doing something a little more challenging next time, it’s so satisfying. 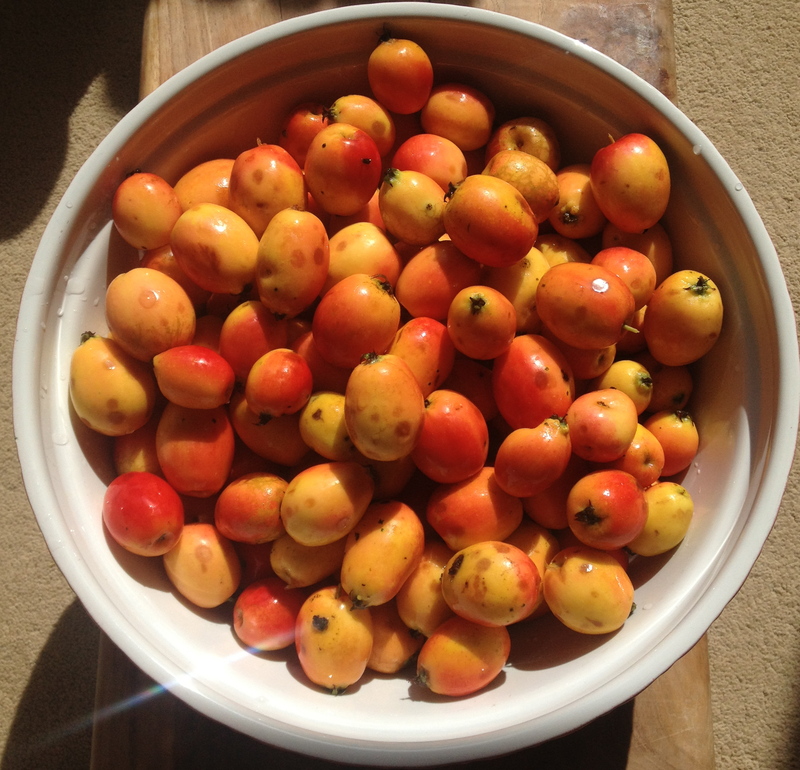 Picking your own fruit and making it from scratch makes you feel like you are really living off the land! I think I might have to hit some of the ‘pick your own’ farms near me which is a great activity to do with the kids. My sister and I used to do this when visiting my nana in Kent when we were little and I remember it to this day. So keep your eyes peeled for the cottage industry I now think I’m about to start in my imagination! I really want to try Caramelised Onion chutney too so I may try that before I move onto more complicated jams! Wish me luck. 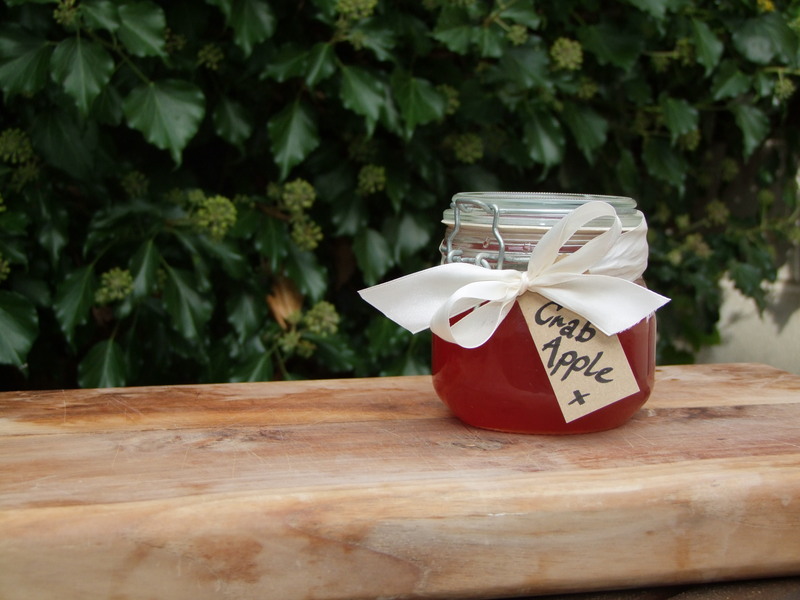 OK so I’m her Mum but her crab apple jelly is fab! I have served it with duck pate and also with lamb and it’s the perfect accompaniment to both. sounds lovely! 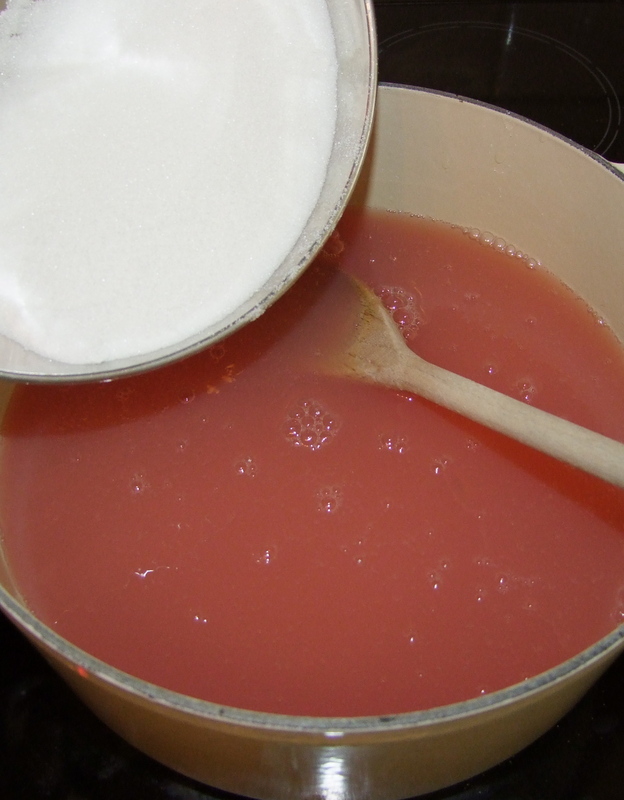 I’ve only made jam once and it was quite successful but the satisfaction of making your own was great, I agree. Found you on BigBadBlogShare! BTW I love the bird& flower pattern you have running down the side of your blog, it’s soooo pretty.